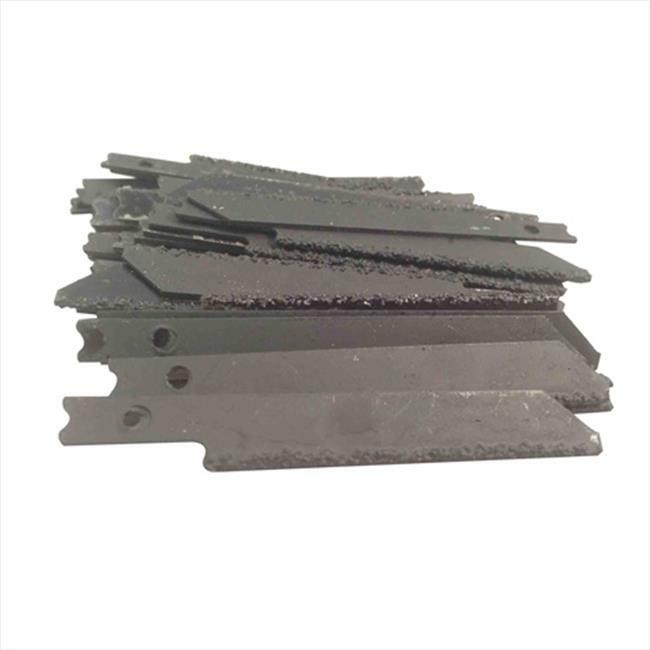 Carbide grit jig saw blades cut extremely hard abrasive materials. Cutting edge of tungsten carbide particles bond to alloy steel back. The have high heat and abrasion resistance, no teeth to dull or chip, resistance to snagging, smooth cutting and greater wear resistance.